Ideal for parties, weddings, anniversary celebrations and Christmas parties, there is an adjoining fully licensed bar fully equipped with glasses and dishwasher. There is a large projector screen, microphone available and black out curtains, ideal for meetings, presentations, lectures and business functions. 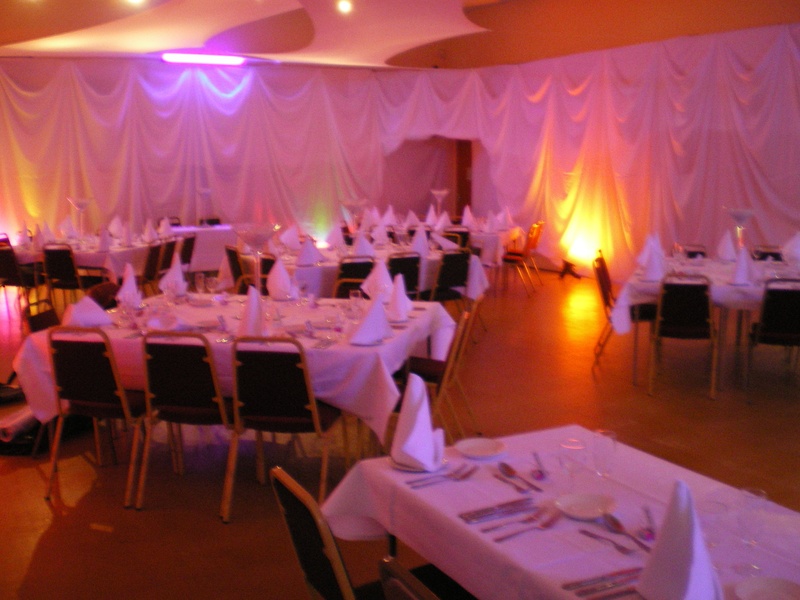 The hall is an ideal venue for a wedding, birthday party, anniversary celebration and other special occasions. The New Green Centre can recommend local caterers, professional bar services and wedding organisers to make your special celebration run smoothly. There is a separate wedding entrance to the main hall and a separate entrance for caterers in the fully equipped professional kitchen. The kitchen hatches open out onto the hall. All comfortable seating is provided, as are lightweight large tables. The black out curtain provide an intimate ambience for the evening entertainment. Please contact the centre secretary regarding availability.